Michaela Walsh made history in Cologne last weekend by becoming the Irish female boxer to win a gold medal at the Chemistry Cup (World Cup). The featherweight won all three fights on 5-0 decisions and has now set her sights on finishing top of the podium at the Olympics in Tokyo next summer. “It sounds amazing (history maker) and I could get used to it,” said Walsh. “You have to keep yourself humble. I’m a very confident person so I’m still striving to be the best that I can be and I feel very proud to be the first person to do it. “Hopefully I’m able to do it in the next one and still keep pushing forward. “Everything went to plan and I am really happy to come away with a gold. It was a sort of a development tournament so it was just good to go over and performance and obviously there is room for improvement and I’m looking forward to making those improvements in the lead up to Tokyo. “Every fight was going to be tough, they were three world class opponents. With the tactics the coaches gave me it was just a matter of going out and doing it and trying new stuff as well. It is a big year for the Monkstown fighter and next on the agenda is June’s European Championships in Minsk. “With the standard being so high at the World Cup I’m definitely very confident about bringing home a gold medal from Minsk,” said Walsh. With Olympic places on the line at the World Champions in November Walsh knows the competition is going to be stiff. “My main focus is to win the Olympics but I have to qualify first,” she said. “The World Championship is the big one and I’m just keeping my head down this year and being focused. “I’m going to have to improve and even the girls I beat in Cologne they are going to be thinking about how they are going to beat me, I’m going to have to think about doing something different to be them. “It is about staying on top of everyone and trying to learn new things and just always trying hard. “Boxing is such a growing sport you could beat someone today and they could beat you tomorrow and it is just one of those things that you have to get better with every win. Walsh is hoping to join the pro ranks in the future. “It has taken off and it is getting bigger,” she said. 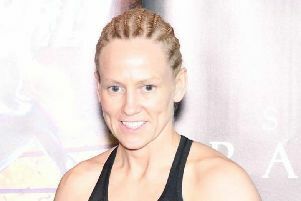 “Since Katie Taylor went pro women’s professional boxing has become massive, which is really good. And Carly McNaul added a silver medal at the Chemistry Cupto the one she won at the Commonwealth Games and the Holy Family fighter is eyeing more success in the future. “It was four fights in a row and I beat the No1 and the one that was tipped to win so for me that was a big enough achievement,” said McNaul.